It looks like Microsoft doesn’t want to make smartphones anymore. Few weeks ago, Microsoft CEO did some cleaning by replacing the existing Nokia executives. In another big decision, the company has decided to lay off whopping 7,800 employees that primary belong to the phone business. On Wednesday, the company announced that it is cutting about 7 percent of its manpower (7,800 employees) and wrote off about $7.6 billion worth of Nokia purchase. CEO Satya Nadella says that Windows Phones still matter to him, but he wants to sweep away Steve Ballmer’s sin of buying the dying phone business of Nokia. What does this mean? 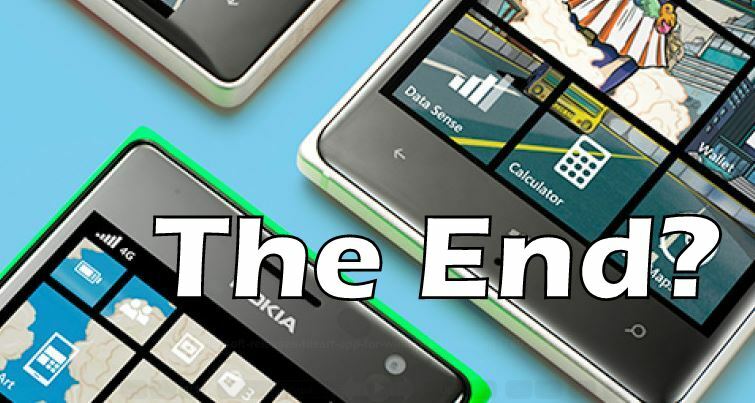 Are Windows Phones dead? Well, in his press release, Nadella has repeated his commitment to the Windows Phone by aiming to grow a standalone phone business. According to the rumors, Microsoft is working on two new flagship Microsoft Lumia devices running Windows Phone. But, this laying off looks like the ultimate step back for the phone business of Microsoft. Apart from the phone business, the company is focusing on developing productivity apps which is hinted by some aggressive acquisition of Wunderlist, Acompli, and Sunrise to boost its presence in iOS and Android marketplace. Microsoft has also shown hints of what Gizmodo calls the “Great Migration” by bringing Office, OneDrive, and Skype apps on Samsung, Dell, Sony and HTC. The company has even replaced Google services on Android-fork Cyanogen, the company whose CEO wants to put a bullet through Google’s head. Here’s the most surprising fact that most of you won’t be knowing- Tossup, the newest event planner app by Microsoft for you and your friends, isn’t even available on Windows Phone. Microsoft CEO doesn’t want to directly admit, but Windows Phone has hurt the business and it’s still losing 12 cents on each Windows Phone. Microsoft is bearing the load Windows Phone platform all alone as no other phone maker seems interested to save this sinking ship. Samsung, HTC, and LG have launched few phones in the past, but none of them marketed them to a scale that could make it a third OS option in the true sense. It feels as if Microsoft is preparing itself for the defeat it never imagined. I hopeWindows 10 gives Windows Phone some cookies.